Among all the brilliant young actors working today, Russian-born Anton Yelchin was at the top of his game. Best known for his role as Chekov in the Star Trek movies, he also frequented the indie film scene with many a heartfelt performance. 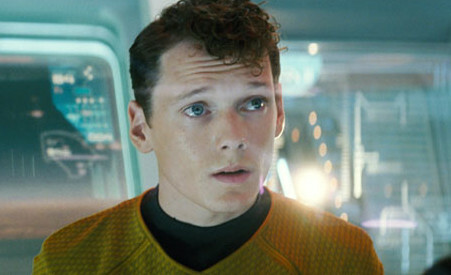 Early this morning, Yelchin passed away at just 27 years old. As his death is mourned, the terrible accident that caused it has come to light: Somehow, the young actor was pinned against a brick mailbox by his own car, in the sloped driveway of his house in Los Angeles. So far there is nothing suspicious about the incident; apparently the car was in neutral and it rolled backwards down Yelchin’s steep driveway, hitting him at the site of his mailbox and adjacent security gate. It’s unclear why Yelchin got out of the car exactly, but he had been on his way to rehearsals that evening. Anton Yelchin’s body was found by his friends who showed up to his house at about 1am this morning. They had become worried for Yelchin’s safety after he hadn’t shown up for the rehearsal. Since the news broke out, tributes from Yelchin’s colleagues, friends, and fellow actors in the community have been pouring out on Twitter. It’s obviously tragic when anyone is ripped from this world too soon, but Yelchin was so young and had his whole career ahead of him. As a single child, Yelchin is now survived by his parents. Rest in Peace, Anton Yelchin. You will be deeply missed and your talent will not be forgotten.